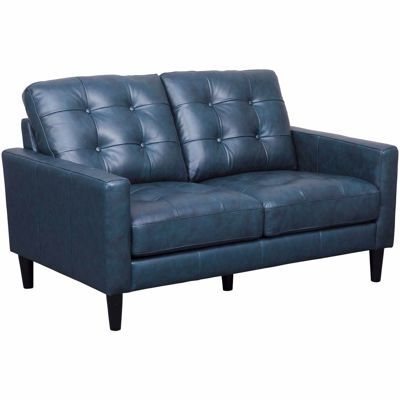 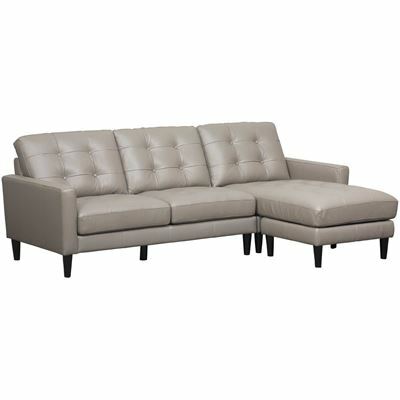 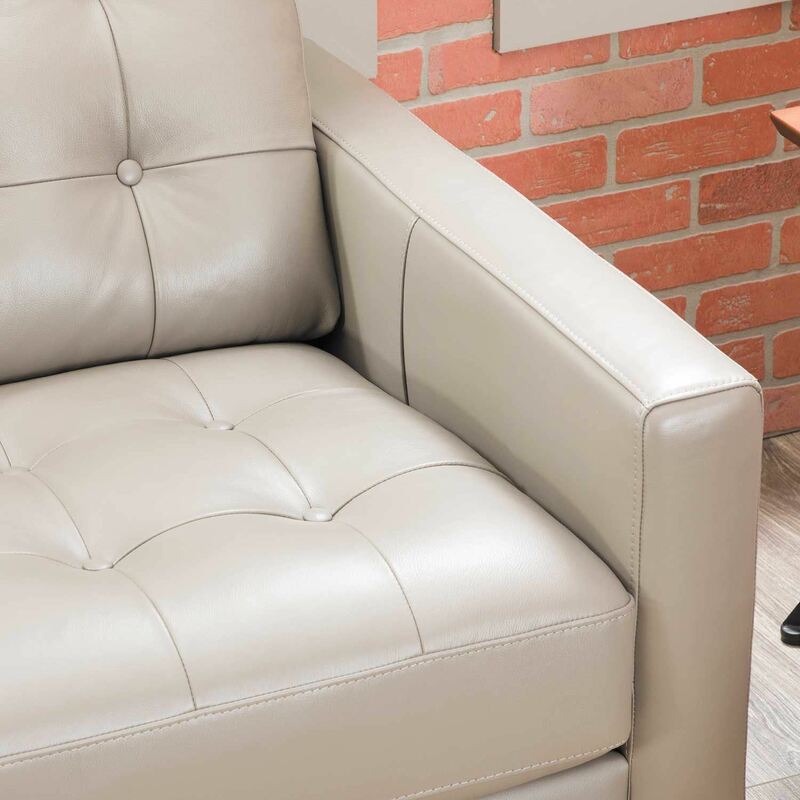 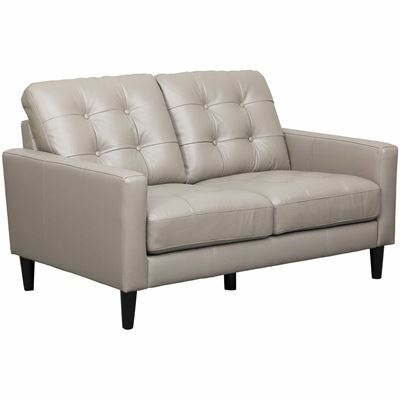 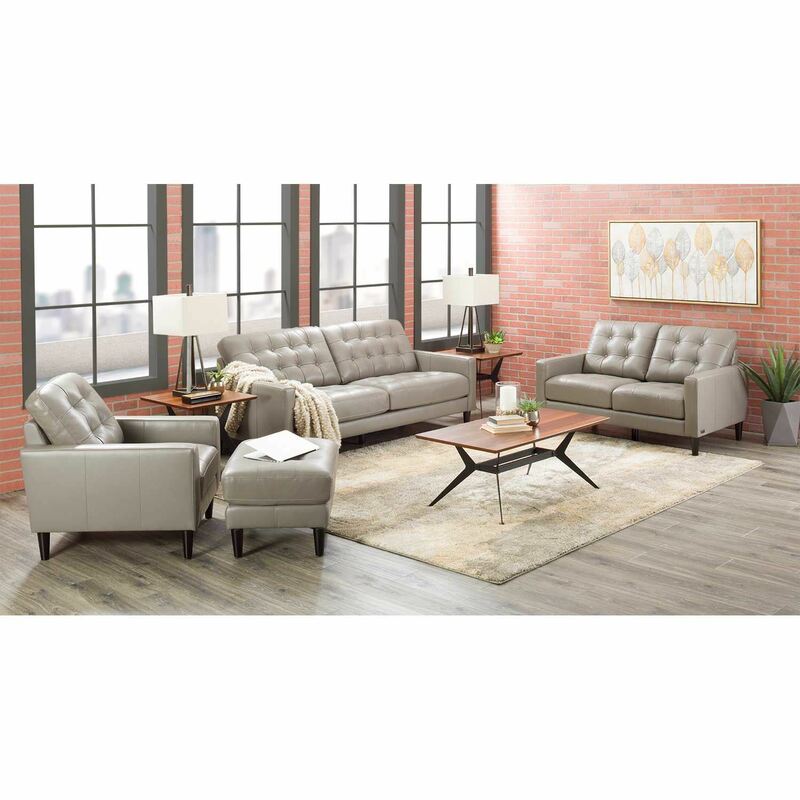 Bring mid-century modern sophistication to your space with the Ashton Grey Leather Sofa by Abbyson Living. 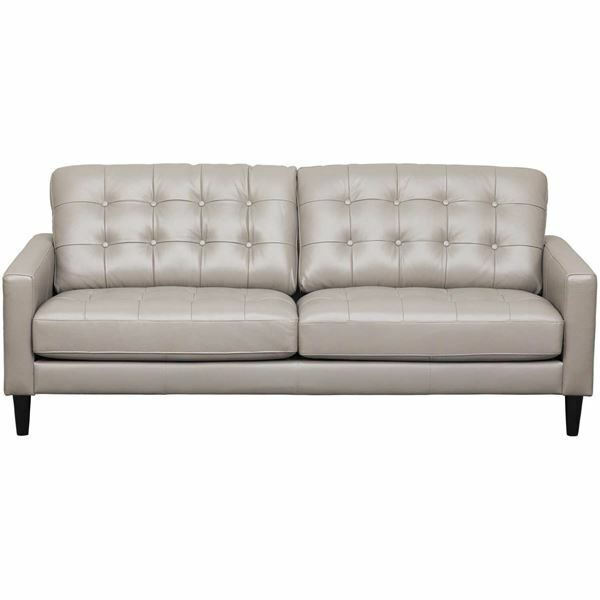 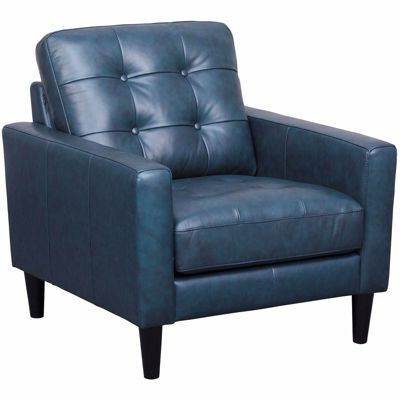 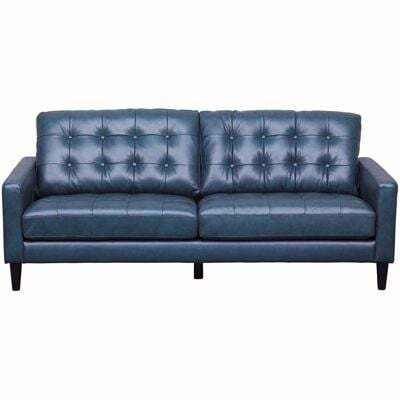 This sofa features a simple, clean-lined silhouette enhanced by the sleek track arms, tapered legs, and button tufting on the seat and back. The soft, supple grey leather match application completes the refined look. 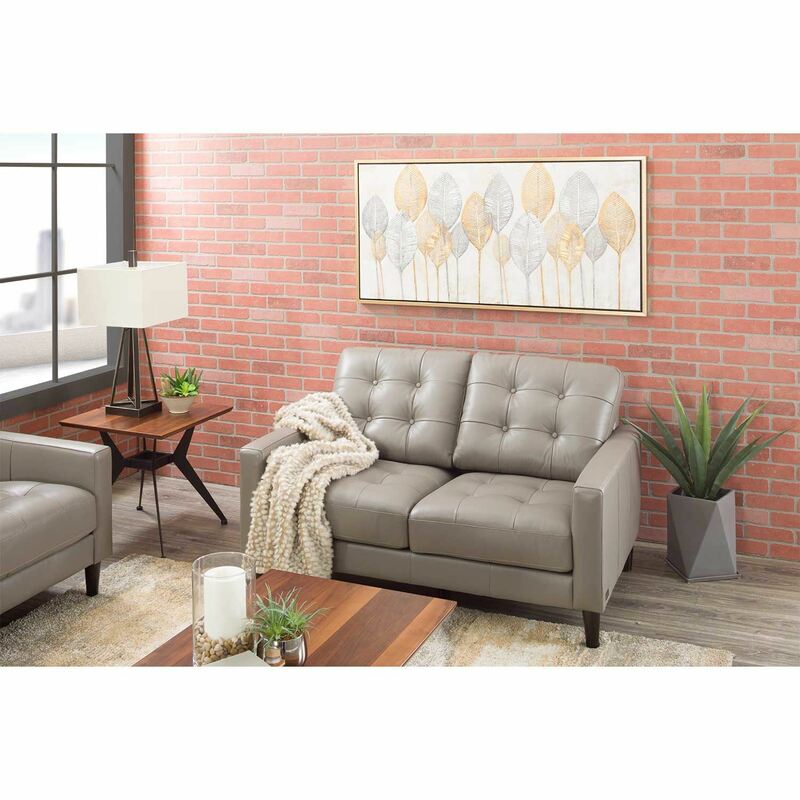 Bring mid-century modern sophistication to your space with the Ashton Grey Leather Sofa by Abbyson Living. 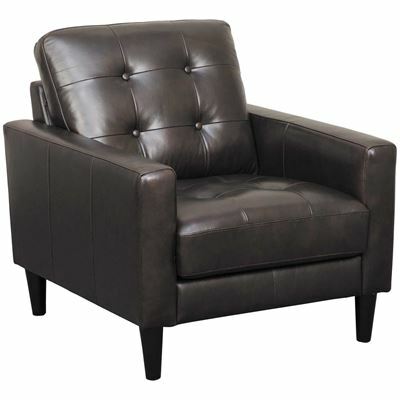 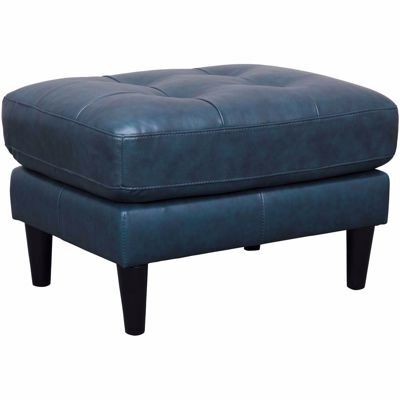 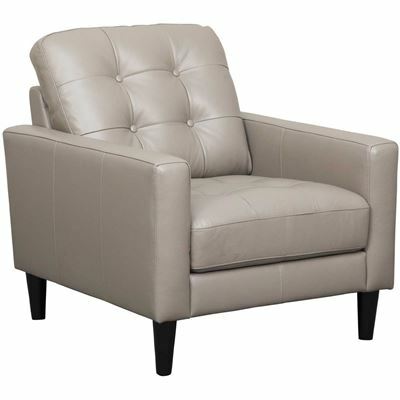 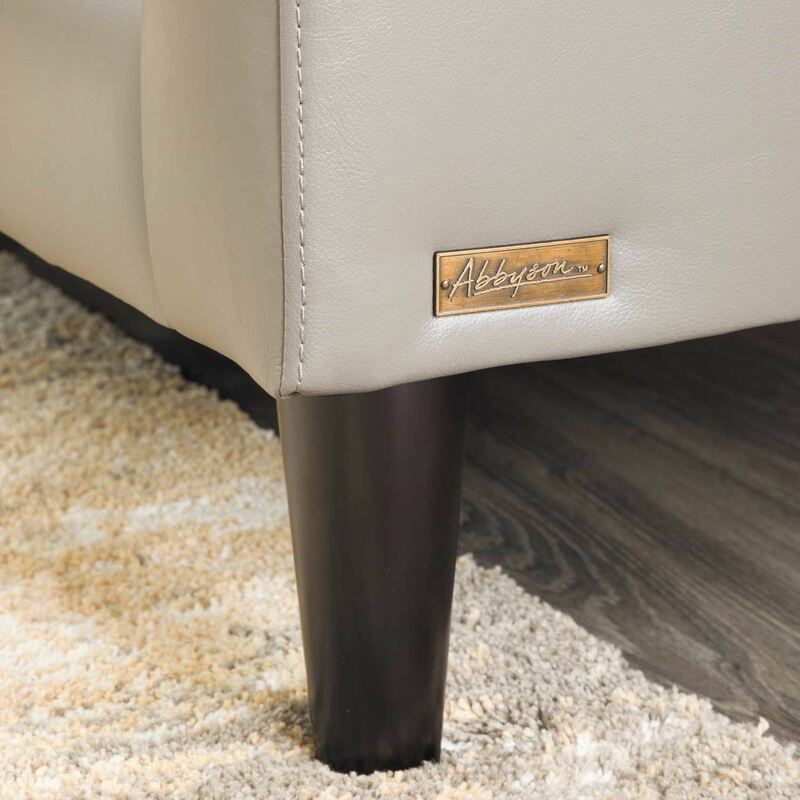 Ashton Dark Brown Leather Ottoman from Abbyson Living. Ottoman is covered in a grey leather match application.